All the ideas shared in this link party are DIY ideas from the new book by Sherry & John Petersik of Young House Love. I'm a huge fan of Young House Love and I received their book for my birthday earlier this November. Not only is today's DIY idea inspired by something in the Young House Love book, but it also has to be inspired by something I pinned from Pinterest. I am the the Pin Junkie after all! This is idea #116 on page 165 of Young House love - streamline your photos. I love this idea! I made a book for each family vacation. It's really nice to have the pictures accessible and not have to dig through tons of stuff to find the pictues you want. And as Sherry & John mention in the book, a book takes up a lot less space! I wish I had all the family photos organized, but for now, I've only done the vacations. 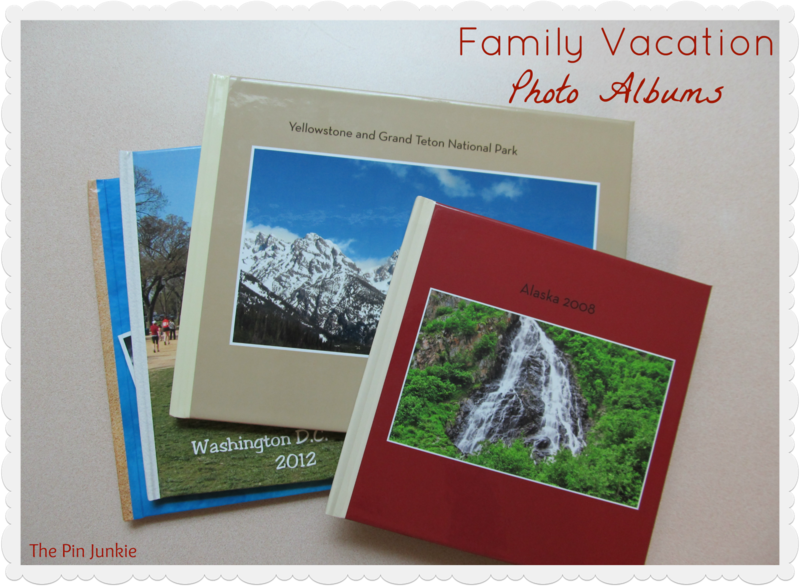 I used Shutterfly to make my books and it's easy to do. Photobooks, stationery, cards, and more from Shutterfly. I think this is a great idea as well. I need to order myself some picture books. I love the idea of doing a "family yearbook" each year. Great Job! This is on my to-do list too! That's such a good idea....I've been making photo books for xmas presents for grandparents for years, but only recently even started ordering a copy for ourselves. duh. I need to make sure I always do that AND add in vacation books!